27th January 1832, Daresbury, Cheshire, England. Lewis Carroll was the pen name of Charles Lutwidge Dodgson and he was eldest son and third child of Reverend Charles Dodgson and Frances Jane Lutwidge in a family of seven girls and four boys. Richmond Grammar School, Rugby School (where he begins to write early works later to be included in “Alice in Wonderland”). Christchurch, Oxford. 1851: 24th January, moves to Oxford, which will be his home for the rest of his life. His mother dies a few days later. 1852: Passes the first part of his examinations at Christchurch and gains a studentship (a teaching position) which allows him to be a life member of the college. 1854: Carroll takes BA and prepares for ordination into the Church. 1855: Liddell is elected as Dean of Christ Church. His daughter Alice is three years old at this point. Dodgson offers a few short stories and poems to the “Comic Times”. 1856: Edmund Yates, The editor of the “Comic Times” opts to call Dodgson by the pseudonym “Lewis Carroll for the first time. Meets Alice Liddell for the first time. 1856-61: Uneventful teaching life in Oxford. Takes up photography and uses Alice Liddell as a subject frequently. 1861: 22nd December. Ordained as a Deacon but decides to go no further in the Church. Alice Lidell visits Llandudno in North Wales with her family for a holiday. 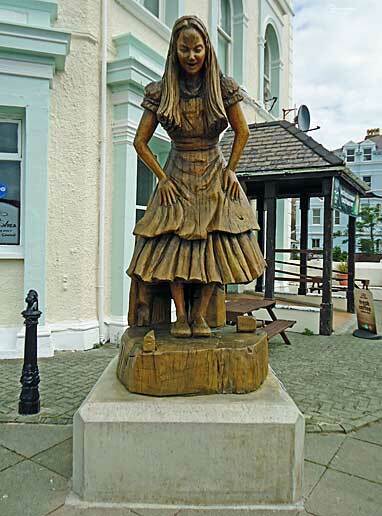 The jury is out whether Carroll actually met Alice there on one of their frequent visits but “Alice in Wonderland” is supposed to be inspired by initial stories told by Alice from her time in the town. 1862: Rowing trip on the River Isis (Thames at Oxford) where the story of Alice is heard for the first time. 1863: The MacDonald’s, his friends, urge him to publish the manuscript of “Alice”. Macmillans agree to publish it and John Tenniel to illustrate it. 1865: Publication of “Alice’s Adventures in Wonderland”. Falls out with the Liddells. 1867: Carroll begins work on “Through the Looking Glass” and spends the summer months travelling through Europe as far as Russia with his friend Liddon. 1868: Death of his father, now Archdeacon of Ripon. 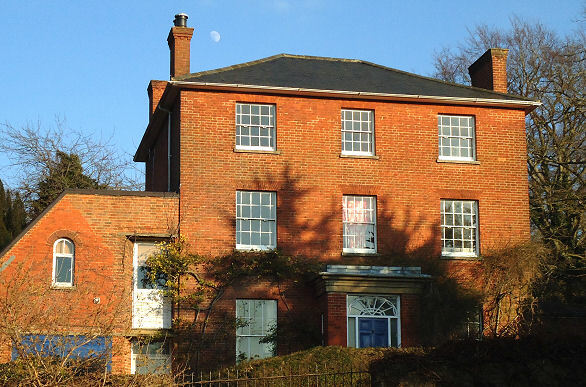 Finds a house called “The Chestnuts” in Guildford, Surrey for his six sisters to live in. The house was rented in his name although he still lived in Oxford but he visited the house many times and went on walks in the district. Due to the sisters habit of entertaining the house was often full and Lewis Carroll often had to stay in an inn in the town. 1869: First Chapter of “Through the Looking Glass” is sent to Macmillans. 1871: Carroll finishes “Through the Looking Glass” in time for Christmas”. Tenniel reluctantly agrees to illustrate it. 1875: Meets Gertrude Chataway who is to become one of his most faithful child friends. 1876: Publication of “The Hunting of the Snark” illustrated by Henry Holiday. Becomes interested in logic. 1877: Spends the summer by the sea at Eastbourne where he is to spend every August from now on. 1878: Begins inventing word games. 1881: Carroll gives up lecturing at Christ Church. 1882: Elected Curator of the Common Room by his colleagues. Publishes another work on mathematics. 1883: Works on a stage adaptation of “Alice”. 1884-5: Publishes several articles on proportional representation. 1886: Gives lectures at Lady Margaret Hall (one of the Women’s colleges in Oxford University). 1887: Teaches logic in a Girl’s Senior School in Oxford. Meets Isa Bowman, another favourite child friend. 1889: Publication of “Sylvie and Bruno” illustrated by Harry Furnis. 1891: Carroll sees Alice Liddell again (now Mrs Hargreaves after a long separation and also makes peace with her mother. 1892: Resigns post as Curator and publishes several short texts on logic. 1897: Gives several sermons to congregations of children. Discovers a number of rules of rapid division and multiplication. Decides to send back all letters addressed to “Lewis Carroll, Christ Church” as “not known at this address”. 1865: “Alice’s Adventure’s in Wonderland”. “The Dynamics of a Part-icle” (Satirical pamphlet). 1869: “Phantasmagoria and Other Poems”. 1871: “Through the Looking Glass and What Alice Found There”. 1872: “The New Belfry of Christ Church, Oxford”. (Anonymous pamphlet attacking Liddell’’s architectural plans). 1876: “The Hunting of the Snark”. 1879: “Euclid and his Modern Rivals”. (Under real name). 1883: “Rhyme? And Reason?” (Verses). 1885: “A Tangled Tale”. (published in book form). 1888: “Curiosa Mathematica, Part 1”. 1893: “Sylvie and Bruno Concluded”. “Syzygies and Lanrick” (word games). Curiosa Mathematica”, Part 2″. “Pillow Problems”. 14th January 1898, “The Chestnuts, Castle Hill, Guildford, Surrey, England of bronchitis. The Mount Cemetery, Guildford, Surrey, England. Keswick, Seathwaite, Lodore and Borrowdale. Visited Tennyson at Farrington House. “The Chestnuts”, Castle Hill, Guildford where he died. 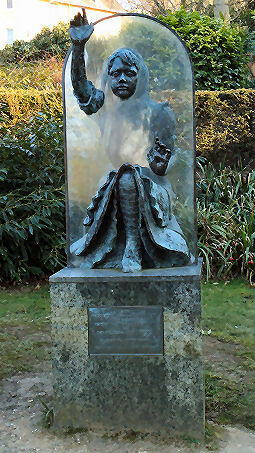 The Alice Garden, Guildford Castle.